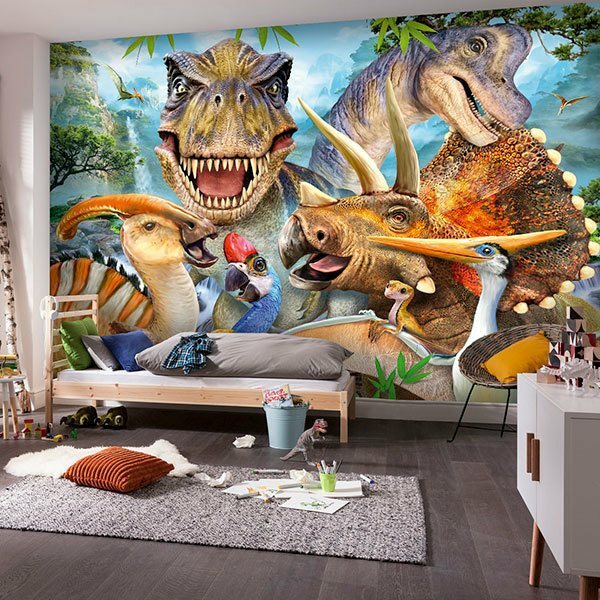 Wall mural Mesozoic Dinosaurs. 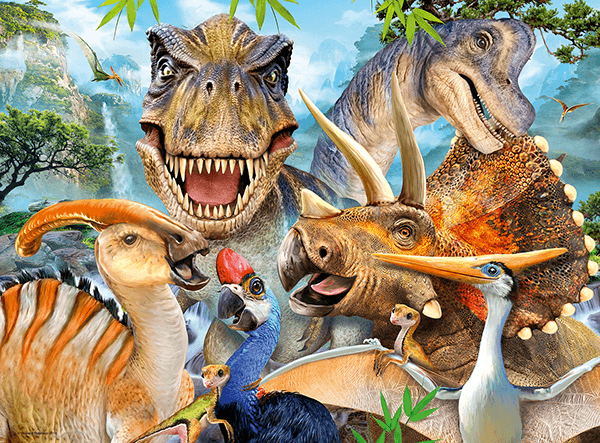 Complete assembly of the most famous dinosaurs from the Cretaceous, Jurassic and Triassic periods. 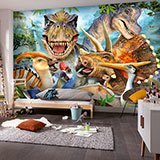 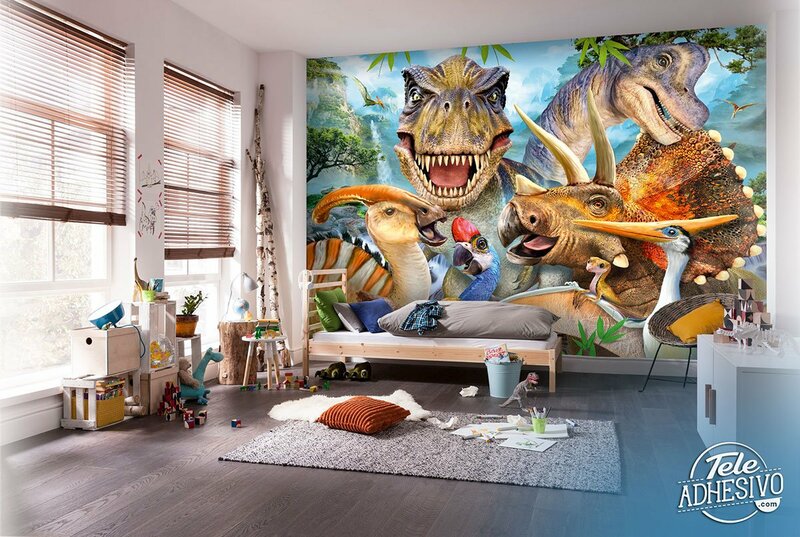 Decorate a studio or a juvenile room with the tyrannosaurus rex, brachiosaurus, triceratops or other well-known dinosaurs that young people like so much.